Charming and efficient, 1 bed half duplex offers an extremely low maintenance lifestyle with the privacy of a single family in the heart of Wheat Ridge. Large yard and 4 newer sheds for storage. Owned yard and garden area. No HOA dues! Affordable living close to everything Denver has to offer. Close to the Ridge at 38 and The Corners redevelopments with new Lucky's Market, Tokyo Joe's, Colorado Plus, and more to come. Easy access to Olde Town Arvada and The Highlands shops/restaurants. 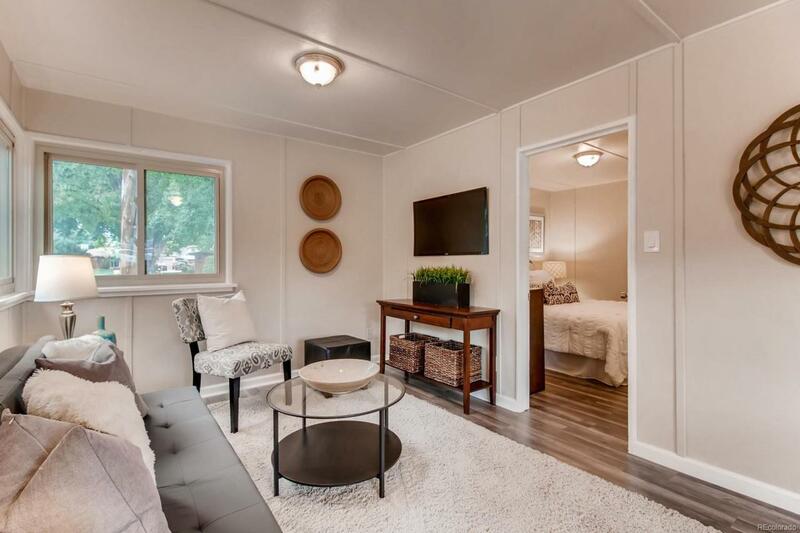 Perfect for someone that wants a simple lifestyle or that needs a "lock it and leave it" type of housing in Denver metro at an affordable price. So much more private and serene than a condo plus you own a yard.